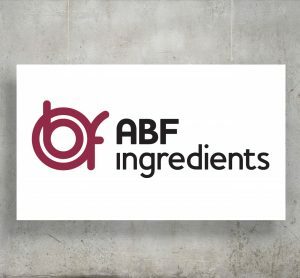 AB Enzymes are one of the world’s oldest Enzyme companies and its products include food enzymes for bakery and beverages products through to enzymes for feed and products for textile technology and the pulp/paper industry. PGP International is a leading specialty ingredient supplier producing highly customised products into healthy ingredients that include crisp rice, extruded particulates, protein crisps, rice flours and blends, millet and sorghum flour, functional grain-based ingredients and rice bran. Ohly offers a wide range of products such as yeast extracts, inactive dry yeast, special vitamin yeast, yeast cell wall derivatives, probiotic yeast and autolysed yeast, based on baker’s, torula and wine yeast, specialty powders and starter cultures. ABITEC Corp. produces speciality chemicals and blends for the pharmaceutical, clinical nutrition, personal care, flavour and food markets. The specialty products function as bodying agents, dispersants, energy sources, solubilisers, suppository bases, carriers, emollients, lubricants, nutritional supplements, viscosity modifiers, conditioning agents, emulsifiers, moisturisers, specialty bases and wetting agents. SPI Pharma provides the innovative solutions a global pharmaceutical and nutritional customer needs to succeed. SPI Pharma’s products include antacid actives, directly compressible calcium powders, functional excipients, drug delivery systems, taste-masked actives, and vaccine adjuvants.